A new report claims gaming giant Nintendo may finally feel the pressure to compete against smartphones and tablets, and will offer deep discounts on its handheld gaming devices later this month. If you're in the market for a Nintendo handheld gaming device, you may want to wait until Sunday, May 20. That's when the company will slash prices by as much as $50 on its struggling hardware, according to published reports. Nintendo is feeling the heat from a surge of mobile devices capable of playing sophisticated games with realistic graphics, particularly from Apple's iOS and Google's Android Ice Cream Sandwich platform. 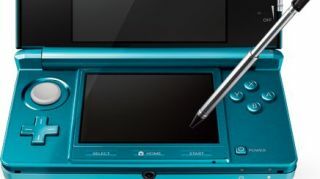 In an effort to regain lost footing ahead of the Memorial Day holiday in the U.S., Nintendo plans to discount the DSi XL from $169 to $129 - a $40 drop - while chopping the price of the DSi from $149 to $99, a $50 reduction which puts it under the "sweet spot" of $100. Already slashed from $250 at launch to $169 today, the Nintendo 3DS will receive no further discounts, at least for now. If you're in the market for one of the cheaper handhelds, it's certainly worth it to wait another nine days. Meanwhile, all eyes will be on Nintendo in June for the Electronics Entertainment Expo (E3), where the company is expected to unveil its new Wii U console.